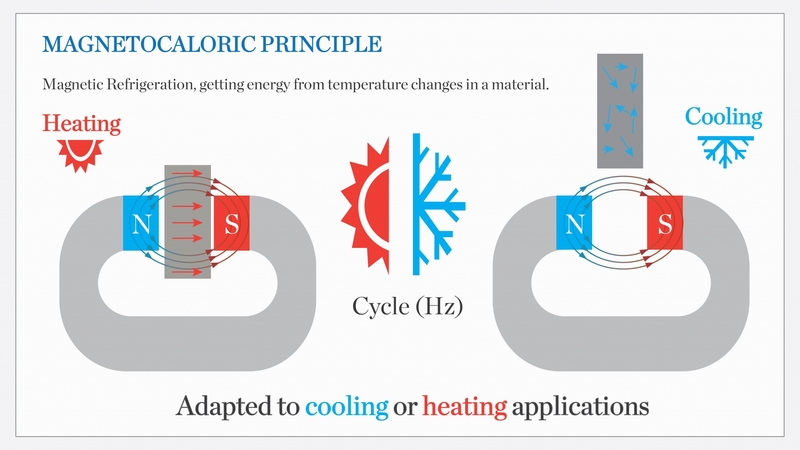 Magnetic cooling is an emerging, innovative and potential low carbon technology. The interest in it as a new heating or cooling technology – and as an alternative to conventional vapour compression. According to a research, by 2030 refrigeration and air conditioning will account for about 13% of the global greenhouse gas (GHG) emissions. Magnetic cooling will contribute to reduce this figure by producing cold energy without any polluting gas.